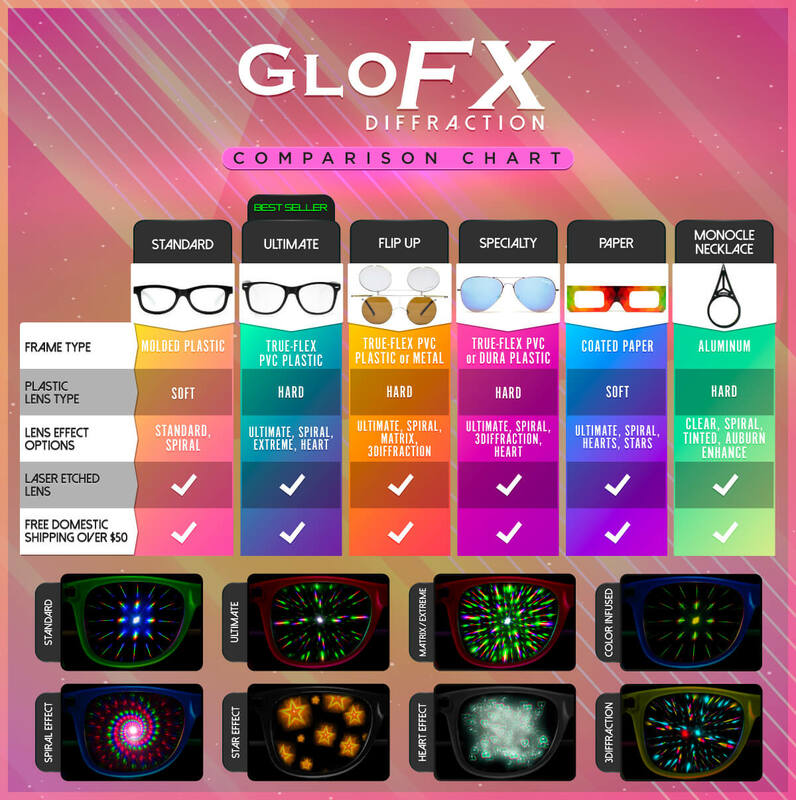 With the all-new GloFX Color Infused Diffraction Glasses, now you can take advantage of the amazing mood-enhancing effects of Color Therapy Glasses AND the out-of-this-world visuals of GloFX’s Ultimate Diffraction Lenses. It is long-believed that the color Aqua is linked to purity and calmness, as well as soothing feelings. We’ve taken these effects and added our own with the GloFX Ultimate Diffraction lens. The mood-enhancing effects in combination with the intense Ultimate Diffraction effect make for an intense visual experience that won’t be found anywhere else!